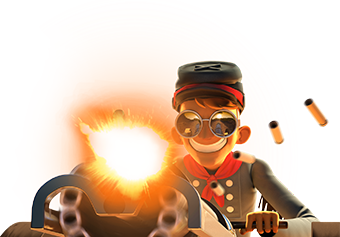 Dr. Waltz nerf - Completly useless now...bad move to nerf them when introducing a new event that requires new strategy. Lack of Camp Space - So many extra cards to collect and nowhere to put them. Camps really need a buff to their base capacity of 2 or 3. MASSIVE LACK OF STEEL - NEED MORE STEEL, NEED MORE STEEL, NEED MORE STEEL, or else drop the steel reqs for everything. Well now that I've got the hang of how my troops behave when there's no towers about and which ones can trample over a booby trap without suffering too much this event is quite easy to play ... but based on what my fellow posse members are saying and doing, you are in a spot of bother if you haven't maxed out your camps, battle points and flags! Appaternly it's not that easy for players on lower levels.